For Go Karting in Warrington you can't beat the track at Slutchers Lane is the place to go. 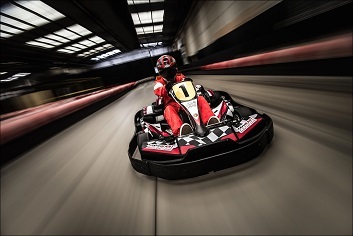 It is one of the largest indoor kart circuits in the UK with 35 corners - so plenty of overtaking opportunities. Needles to say it is multi-level so smooth driving is essential to get a good lap time but the petrol-powered karts are very rewarding around the twists and turns of the track.